Cream contour. Not a product I ever thought I would use. 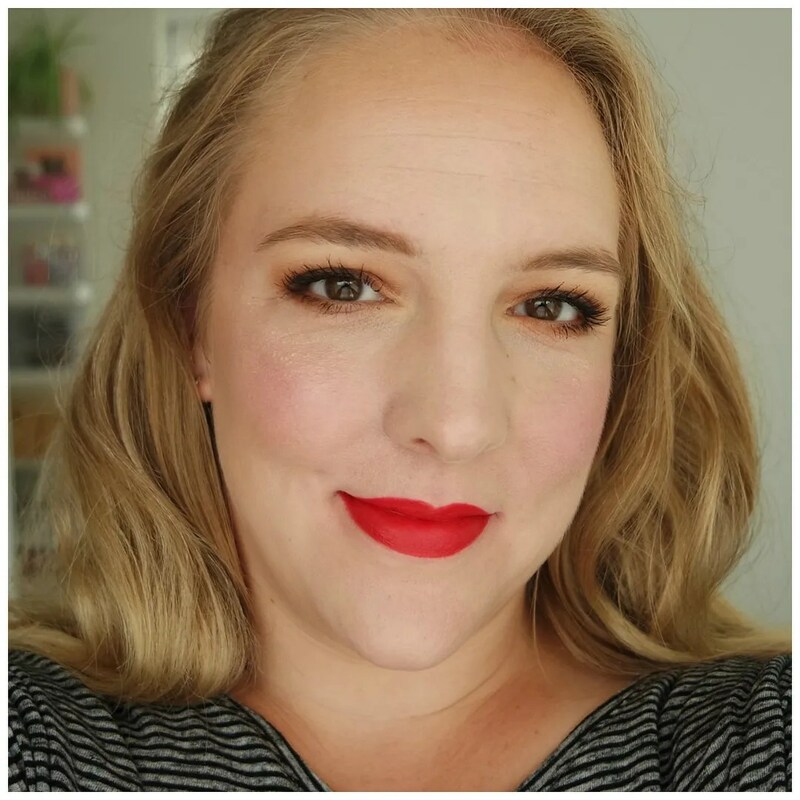 Contouring has had its moment I think, but for many beauty lovers it is a standard element to their makeup look. I go back and forth between periods where I do not and do use contour. I am currently going through a no contour phase. 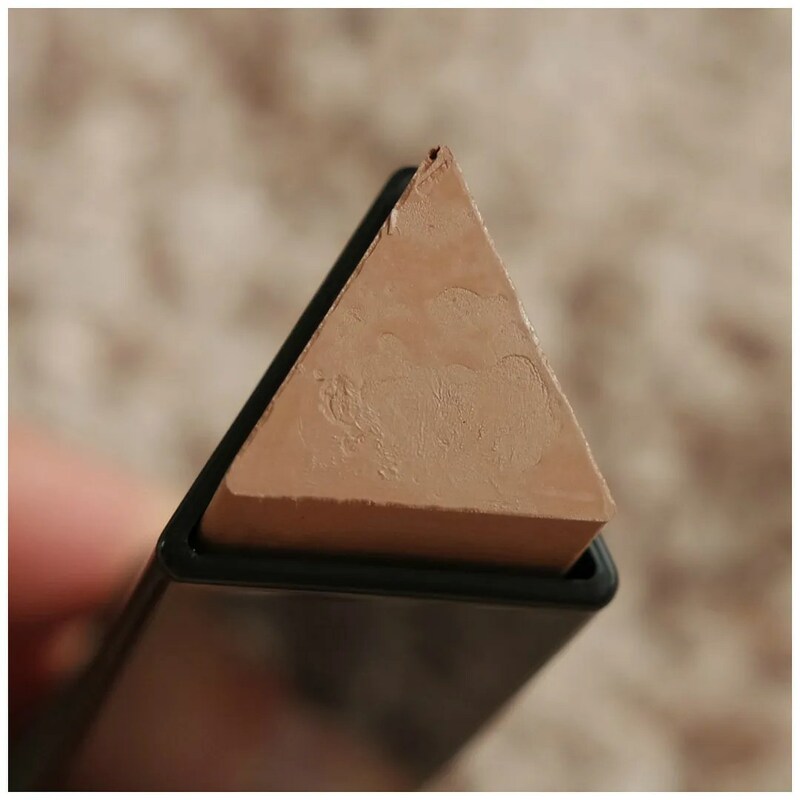 But when Catrice released their Triangle Artist cream contour stick, I knew I wanted to try it. For a Catrice product, I don’t think this is very affordable. At €5.99 this is definitely a more expensive product in the line. However, Catrice does this with some of their products: they do offer a little bit for everyone. And when the product is good, then I don’t really mind the price point. Because while this may be pricey, it is still far more affordable than many other cream contours on the market. One thing I appreciate about this product is how it is, as the name would suggest, shaped like a triangle. Rather than a regular stick, even the cream itself is shaped like a triangle. So you know that part of the price point of this goes towards the packaging, because it works really well. The twist up stick can also be twisted back down and the packaging feels sleek and quite expensive. The shade range of this product is not great. There are only two shades: Warm Brown and Ashy Brown. Based on the name, I went for the latter. It is simply more flattering to have a more cool toned contour. That is exactly what this is. 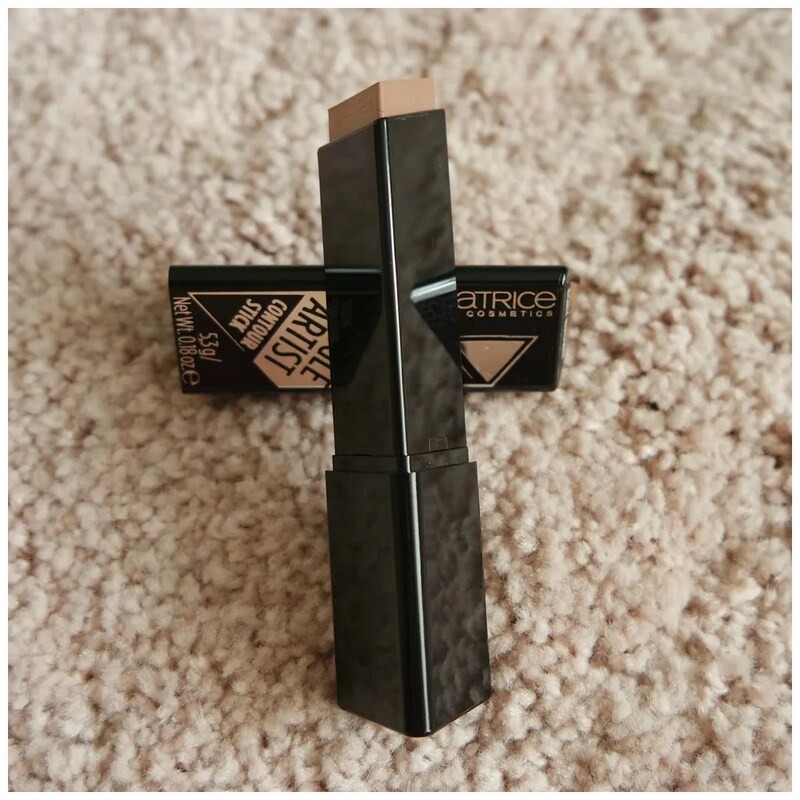 It is not too dark, nor too light and the product seems very promising at first sight. The texture of this cream is luckily not too greasy. I was afraid that it might be but it is not. It is a straight up cream that feels smooth and lightweight. The shade looks to be pretty spot on for my skin tone as it is not too dark and not too light. 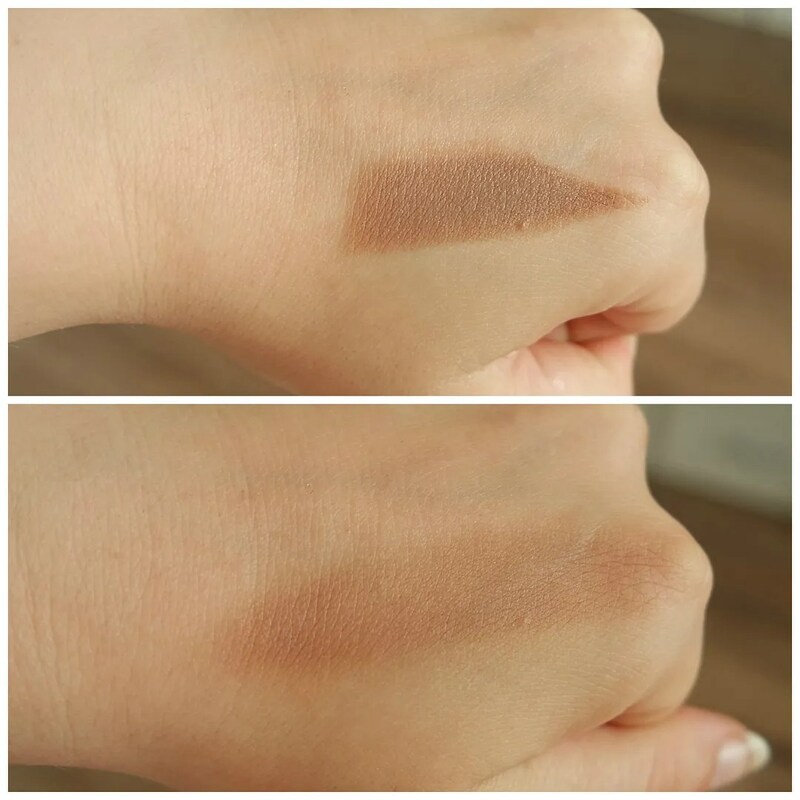 It glides on easily and seems to blend in quickly but it doesn’t disappear when you blend it out. With a product like this, it of course all comes down to how it applies. Above you can see the effect of this contour on my face. In real life, the effect is very subtle. 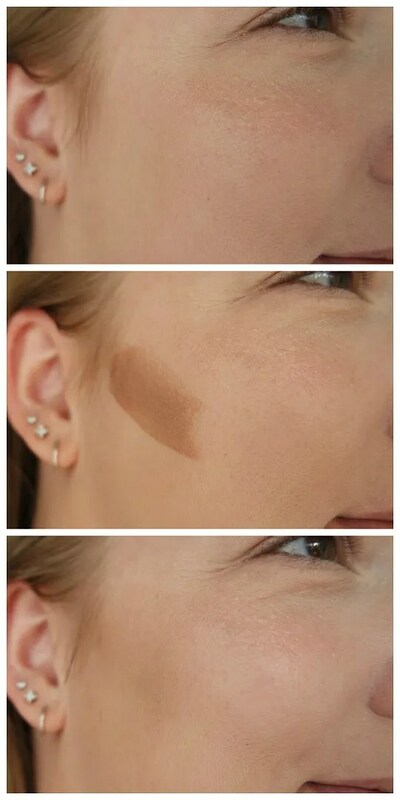 Too subtle to notice if you don’t know you’re wearing a contour. In the pictures this shows up a bit more, but it still looks natural. I like that, because that means this is wearable for everyday. I was afraid the triangle shape might make it difficult to apply this product well, but I found it to actually work quite easily. I had no troubles applying this to my face. My preferred method of application is with a sponge. That of course makes the effect more subtle than with a brush, but I feel that if you were to apply another layer, or if you use a powder contour on top, you can easily achieve a more intense look. 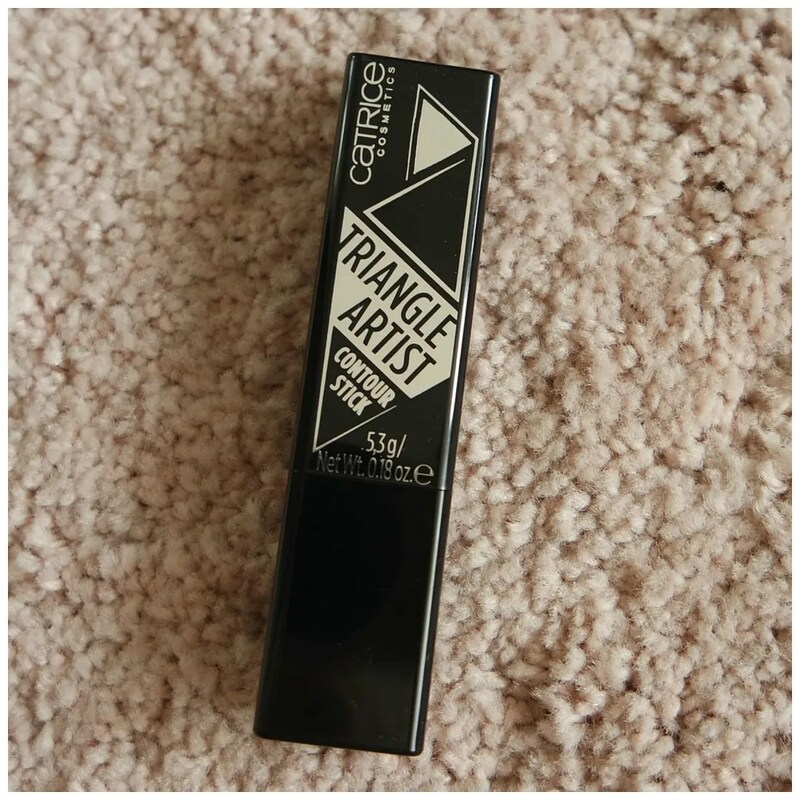 I have to say I was pleasantly surprised by the Catrice Triangle Artist contour stick. I didn’t have very high expectations, never having tried a cream contour before. However, if you have never tried a cream contour like me, then this is a great way to test the water and try it out. It is easy to use and because it blends easily, you will not easily overdo it. In short, this is a great little product, but will only tailor to those who really are makeup enthusiasts who would like to dabble with cream contour. What cream contour do you like to use? This looks like a great affordable dupe to the Hourglass one. Catric knocks it out of the park, again. I’ve never used a cream contour but I like the idea of it. But to be honest, I rarely contour at all… I’m just starting to remember to bronze and highlight on a regular basis. Hopefully I’ll get to contouring one of these days! Bronze & highlight are musthaves in my routine for me. But contouring? Not really. Perhaps I just haven’t found the right contour for me just yet. I am really curious after the Kevin Aucoin contour powder. Have you tried that before?